I have previously reviewed Tracy Lawson’s first and second books (Counteract and Resist) in her dystopian Resistance Series, and I am enjoying how her story is arcing and taking shape. In Ignite, the third book, the characters are becoming more complex, their personal struggles more nuanced. The plot is not just thickening, it’s becoming more layered. New, quirky characters are added with enough foreboding and mystery to keep us hooked. All these are signs of a series that is maturing and is growing with its readership. One of the great benefits of science fiction, and YA dystopian literature in particular, is the ability to create worlds that grapple with larger issues that can be difficult to address in contemporary novels. The Hunger Games may be one of the most famous examples, where Suzanne Collins used her novels to explore the effects of violence on children, power, and society. Lawson—winner of the 2016 Best YA Fiction award from the Texas Writers Association—follows in this tradition although her ideas are more straightforward and more clearly embedded in the plot. The premise of the series is actually not that fantastical—another trait of good science fiction. Using the threat of imminent terrorist threats, including biological attack, the federal government has developed a serum that inoculates the public against the threat. In truth, public officials use it to control the population. One of the more fascinating subplots is how these public officials seize control of the government apparatus by essentially sidestepping the traditional policy making process. The country still has an elected president, but the real power is in the Office of Civilian Safety and Defense (OCSD). Anyone who has observed the growing power of the U.S. Department of Environmental Protection since the 1970s will have no trouble believing this kind of political ninjitsu (but this is another story for another blog). Ignite picks up where Resist’s cliff hanger left the reader—the lead character Careen Catecher has been wounded in an explosion that destroyed the student center at the local university (geographically in the Midwest). She is captured, and as a leader of The Resistance she is a coveted prize for the nefarious leader of the OSCD, Madalyn. Meanwhile, Tommy Bailey hides out in the mountains with other leaders of The Resistance looking for his opportunity to rescue her. While Ignite continues the star-crossed love story of Tommy and Careen—and the most important thread that holds the series together—its role as the literary vehicle that carries the tension and plot of series becomes more clear as the fourth novel ratchets up conspiracies to new levels. 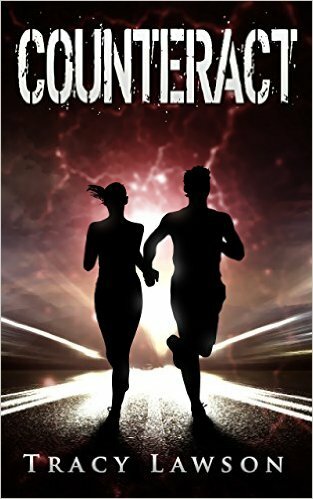 The conspiracies challenge Tommy and Careen, but also relationships between families, allies, and enemies. But Lawson adds a substantive twist to this series and story that is rare in contemporary literature outside of authors such as Ayn Rand—she fuses economic and political commentary into the plot and character arcs. As times become more desperate, the government has seized control of the “commanding heights” of the economy, particularly food production and distribution. The government has banned private grocery stories to prevent price gauging and to ensure fair and equitable distributions of food (and, of course, give the government more control over the distribution of their mind control drug). But this strategy backfires because Lawson understands economics. She uses basic economic principles to lay the foundation for growing civil unrest, something we’ve seen over and over again in real life. Lawson cleverly uses access to an essential commodity—food—to show the inevitable social and economic dysfunction that arises when policymakers fail to remember that one single entity can’t coordinate the distribution of goods to meet consumer desires and needs efficiently. Inevitably, the product that the central authority—usually the government—attempts to control, becomes more scarce. When policymakers ignore this insight, gleaned from way too much human tragedy in history, shortages result. (Think Venezuela today, but also North Korea or Cuba, or the former Soviet Union.) The masses are deprived of basic goods and services while the politically connected have privileged access. If the shortages persist, civil unrest is often inevitable. The OCSD is not immune from these economic principles, which are robust enough to almost be called laws. While some of the dialogue tends toward the Randianesque—focusing on content more than action—the tension created by this dynamic propels the plot so the reader gets a healthy dose of ideas on top of emotional tension and conflict. Whether Lawson’s YA readers will grasp this substance has yet to be seen, but so far the Resistance Series has been selling. Regardless, by adding this substance, Lawson adds complexity that reflects a literary evolution of the series that will suit her readers as they mature with the books. 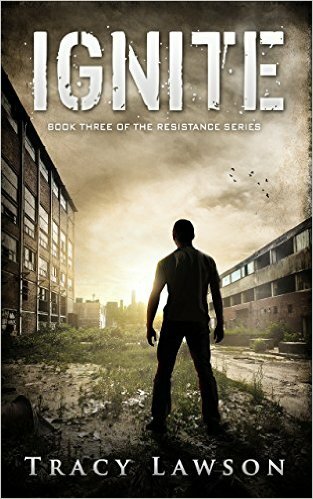 If you haven’t had a chance to read the first two books, Lawson is promoting the third book with a free giveaway of the first two books (in ebook versions July 19-20, buy Ignite: Book 3 of the Resistence Series from amazon (http://amzn.to/295WBYY). Then, send the receipt to tracy@counteractbook.com. She’ll then send you free downloads of the first two books for free. 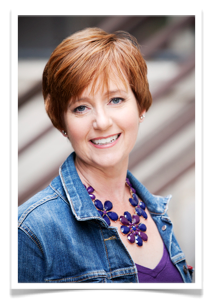 This entry was posted in Books, Teen & YA fiction and tagged Counteract, dystopian literature, economics, incite, resist, Tracy Lawson, YA, young adult literature on July 19, 2016 by SR Staley.